ON THIS DATE (April 17, 1964) ... Tony Conigliaro familiarized himself with Fenway Park's centerfield area with a special 75 minute practice session. Because Tony C, an infielder at Swampscott High School, had never played at Fenway Park outfield, he reported at 10 AM for his private session. Later, in the game against the White Sox, the only fielding chance he got, was tracking down an errant balloon. 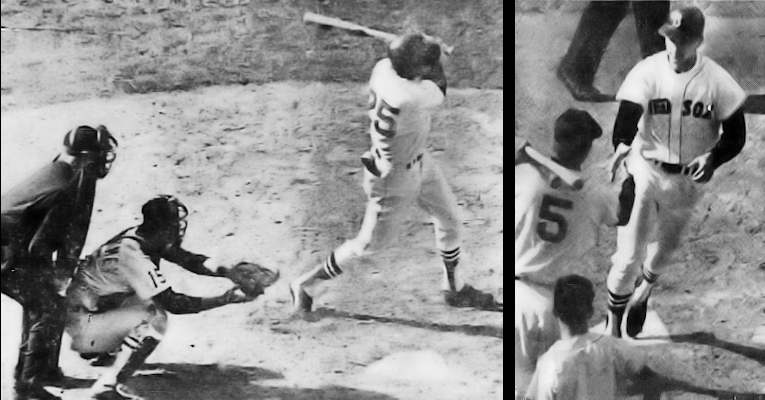 Conigliaro did much better at the plate. Although he was in despair trying to track down Hoyt Wilhelm's floating knuckleball, his first time up he hit the first pitch thrown to him, a fastball, over everything in left center field for his first major league home run.